It was the sad Christmas day for gamers all around the world!! A lot of people get new PlayStations and Xboxes on Christmas, but this Christmas they bought the game, popped it into the console for online gaming, and what they found? Oh Crap! I can't log on. It was the notorious hacker group "Lizard Squad" who claimed the responsibility for taking down PlayStation Network, saying it has made unavailable both networks with apparent Distributed Denial of Service (DDoS) attacks — intentionally overloading servers by sending a flood of bogus web traffic, which made logging into the PlayStation Network and Xbox Live difficult for most users. Now Anonymous has declared war against Lizard Group, warning that "now you are all going down." Recently, in response to Lizard Squad launching DDoS attacks on the Tor network, the international activist group Anonymous has leaked the personal details of one of the group's alleged members, warning the hacker collective "Lizard Squad" to "stand down" and stop attacking Tor. 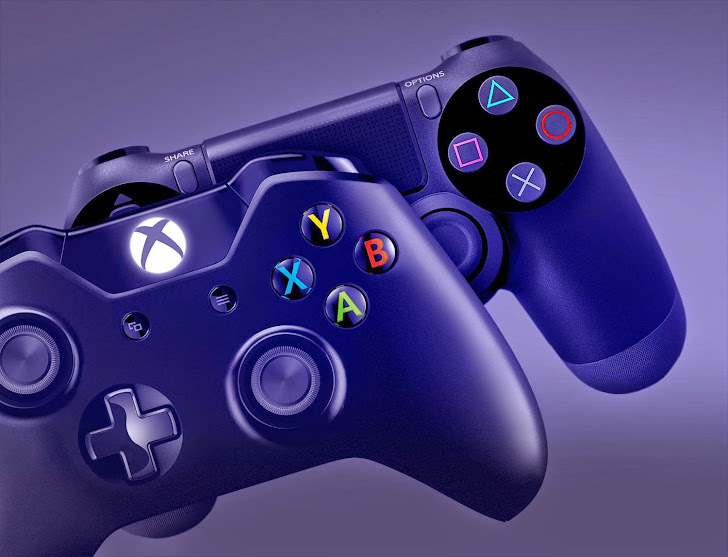 Earlier after the big outage for both Xbox Live and Playstation Network services, both Sony and Microsoft acknowledged the problem, saying that their security teams were working to resolve the issue and get the networks back online. "We are aware some users are unable to sign into Xbox Live. Our teams are working to resolve the issue. Visit xbox.com/support for status updates," said Sean McCarthy, general manager of Microsoft's Xbox Product Services in a statement to CNN. "We don't share info on the root cause of specific issues." "We are aware that there have been issues reported with PSN," tweeted Sony's Ask PlayStation account on Christmas Eve. "Thanks for your patience as we investigate." Giving pause to the attacks on PSN and Xbox live, Lizard Squad said in a tweet that "All your onions are belong to us," referring to Tor's onion logo, and later tweeted that the Tor network is only used by "hackers, miscreants and pedophiles." The Tor Project released a statement about the attacks, saying "we don't expect any anonymity or performance effects based on what we've seen so far." It said the attackers attempted a "Sybil attack" where "the attackers have signed up many new relays in hopes of becoming a large fraction of the network." "But even though they are running thousands of new relays, their relays currently make up less than 1% of the Tor network by capacity," it added. "We are working now to remove these relays from the network before they become a threat, and we don't expect any anonymity or performance effects based on what we've seen so far." So hopefully this gets nipped in the trollish bud before anonymity is affected." Anonymous‏ group warned Lizard Squad in a tweet, saying "People need that service because of corrupt governments." Later, the group confirmed that it was tracking down members of Lizard Squad. However, the details revealed by the group are yet not confirmed to be legitimate, Anonymous tweeted a link which appears to contain the personal details, including full name, address, phone numbers and passwords, of one of the supposed members behind Lizard Squad. 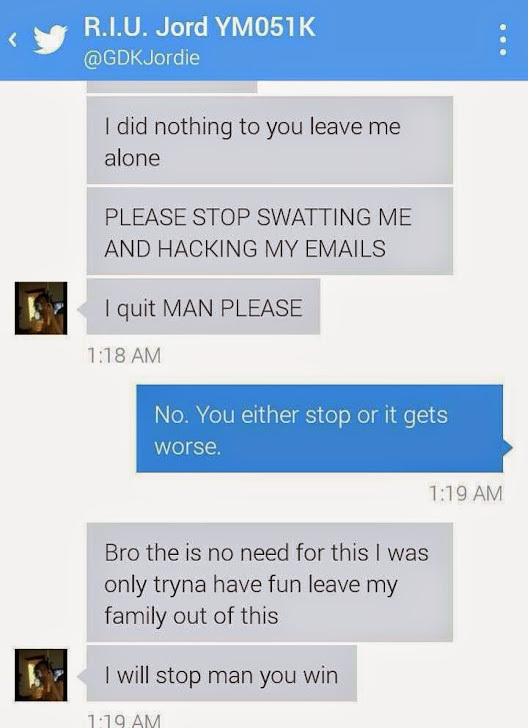 The group posted a screenshot that appears to be a text conversation between one of its members and one of the members behind Lizard Squad, in which the Lizard Squad member ask the Anonymous‏' member to stop the attacks against them and for their family to be left alone, but Anonymous‏ said in a tweet that they'll not stop. Whereas, a member of Lizard Squad has claimed that the conversation between Anonymous‏ member and Lizard Squad member is fake.